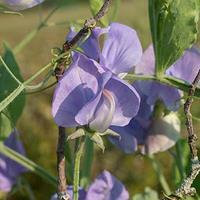 Blue Shift's blossoms transform from vibrant purple violet to mauve and then sky blue, an amazing feat for a fragrant, large flowered Spencer sweet pea! 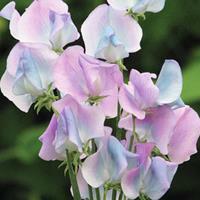 Bred by Dr. Keith Hammett, who has introduced many a wonderful sweet pea, this new variety will charm all who grow it. Seeds poisonous. Clear blue flowers grace this antique variety, introduced by Morse Vaughan in 1904. The strong scent will fill your garden with delicious aroma. Seeds poisonous. 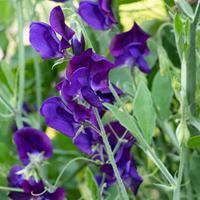 Lord Nelson is a wonderfully scented flower in deep navy blue, the name a homage to the famous Admiral. Tenacious tendrils wrap around net trellis or twiggy brush and climb to 6’. Provide humus rich soils and generous water and cut often to keep the dashing flowers blooming.